We are OFFICIALLY...NBA-less in Seattle. Just minutes ago, it was announced that current Seattle Supersonics owner Clay Bennett has officially began the relocating process of moving the NBA team from Seattle and to his hometown of Oklahoma City. 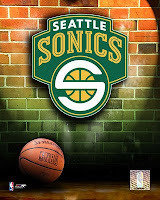 The Supersonics will move to Oklahoma City for the 2008-09 season as part of a settlement with the city of Seattle, ending a contentious relationship that resulted in a trial in which the judge was due to issue her ruling Wednesday. The team's name, legacy and colors will be staying in Seattle. After 41 years of some triumphs and some heartaches, Seattle is saying farewell to a team. Thank you Seattle Supersonics and the community of supporters for those 41 years. Seattle Supersonics intro at Key Arena at the 1996 NBA Finals. However , you must check with oneself why you've got never ever found a Bowflex machine inside of a club or conditioning devices retailer? Are you currently like most individuals and don't have a very great deal of time to head over to the fitness center or will not be obtaining effects from all those uninteresting a person hour marathon session workouts?